Circle - colored splashes. Summer sun rays. 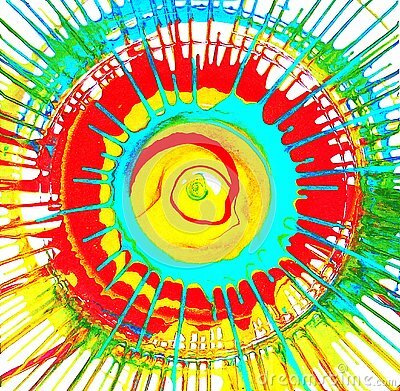 Bright splashes drawn from the center of the circle. Lively movement. Background in the form of colored rays in the form of a circle on a black. image of gold sequins on a black background . Happy dots frame with space for text/ image.